Welcome to the Bonetti Family Business! 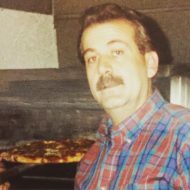 We’ve migrated from Sicily, Italy to Queens, New York to Tarpon Springs, Florida, bringing the authenticity of Italian cooking and the culinary style of New York along with us to the Sunshine State. Gino’s New York Style Pizzeria, our flagship restaurant, serves customers in two Palm Harbor locations, and Bonetti’s Catering offers an expanded catering service for events ranging from 20 to 200 guests. Founder and Chef Gino Bonetti, inspired by recipes passed down from many generations, will captivate your senses with his delicious menu selections.